“One day you will do things for me that you hate. That is what it means to be family”, this beautiful quote belongs to a young and renowned author Jonathan Safran Foer, taken from his tremendously famous novel “Everything Is Illuminated”. 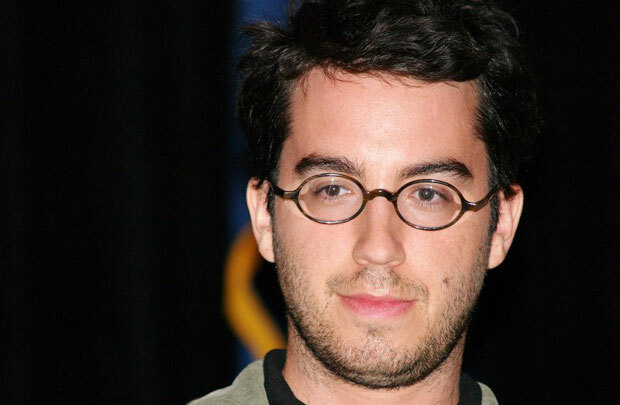 Born on February 21, 1977 in Washington, DC, Foer belongs to a Jewish family. His father Albert Foer is a lawyer and president at American Antitrust Institute and his mother Esther Foer, daughter of a Holocaust survivor, is the Director and CEO at the Sixth & I Historic Synagogue. Franklin Foer, former editor of The New Republic is the Elder brother of Jonathan and Joshua Foer, a freelance journalist is the younger brother of him. Foer studied at Georgetown Day School where he became valedictorian of his class at high school. Afterwards, he went to Princeton University where he studied Philosophy. At Princeton, while he was a freshman, he took a writing course and got Joyce Carol Oates (an author) as a teacher. The Oates took interest in his writing and encouraged him to write more seriously. He recalls her as the first person who made his mind to work on writing. Foer wrote his senior thesis about his maternal grandfather; Louis Safran who was a Holocaust survivor. Ironically, Foer had never met his grandfather. Oates guided Foer as an adviser writing this thesis for which he received Princeton’s Senior Creative Writing Thesis Prize. After completing graduation, Foer also enrolled himself in Mount Sinai School of Medicine but soon he left and pursued his career in writing. In 2001, he had edited a compilation of work inspired by Joseph Cornell named as A Convergence of Birds: Original Fiction and Poetry. Foer went to Ukraine to do further research for his thesis which eventually turned into a phenomenal novel Everything Is Illuminated. This was his first novel published in 2002. This novel earned him some of the most prestigious awards including a Guardian First Book Award and National Jewish Book Award. In 2005, a film adaptation has been made based on the novel. Jonathan Foer’s second novel, ‘Extremely Loud and Incredibly Close’ got published in 2005.The novel is a story of a nine year old boy who lost his father in the 11th September attacks on the World Trade Centre. Despite being widely criticized upon his experimental writing the book became a best seller again and also a movie adaptation was made by Stephen Daldry. His third book and first non-fiction work, Eating Animals was published in 2009. His other noticeable work included a libretto written for an opera ‘Seven Attempted Escapes from Silence’ and an artwork in the shape of a book ‘Tree of Codes’ (2010) created with the words from his favourite book, Street of Crocodiles by Bruno Schulz. At present he is working on his new novel book Escape from Children’s Hospital due to release in 2014.This exclusive work has earned him some very reputable awards such as Zoetrope: All-Story Fiction Prize (2000) and New York Public Library’s Young Lions Fiction Award (2003). In 2008 spring, Foer first time started teaching creative writing as a visiting lecturer of fiction at university of Yale. Currently he is teaching at New York University as a professor of the Graduate Creative Writing Program. He is married to Nicole Krauss (author) and has two children. At present they live in Brooklyn, New York.